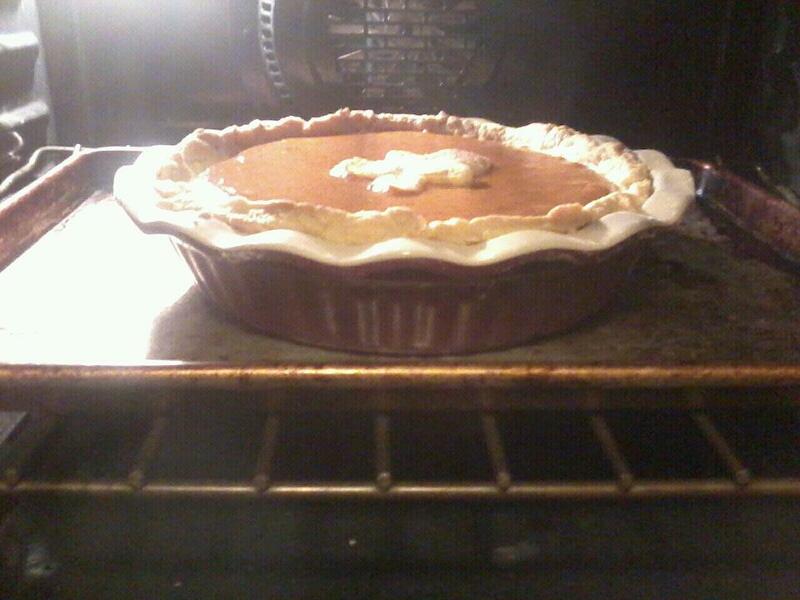 So I am going to bring pumpkin pie to my SIL's tomorrow...let's look. Preheat oven to 400 degrees. In a large bowl, toss pears with lemon juice. Add cranberries and 1/3 cup sugar; toss well. Transfer to six 8-ounce ramekins (or a 3-quart baking dish). Sprinkle with topping (see below); bake until fruit is tender and topping is golden, about 25 minutes. Let cool at least 30 minutes before serving with vanilla ice cream, if desired. To make the Oatmeal Crisp Topping: Pulse flour with butter in a food processor until pea-size clumps form. Add remaining granulated sugar and the light-brown sugar, cinnamon, oats, and salt; pulse until large, moist clumps form, about 10 times. Enjoy Turkey's! I will update how it went later...maybe. Mmm! 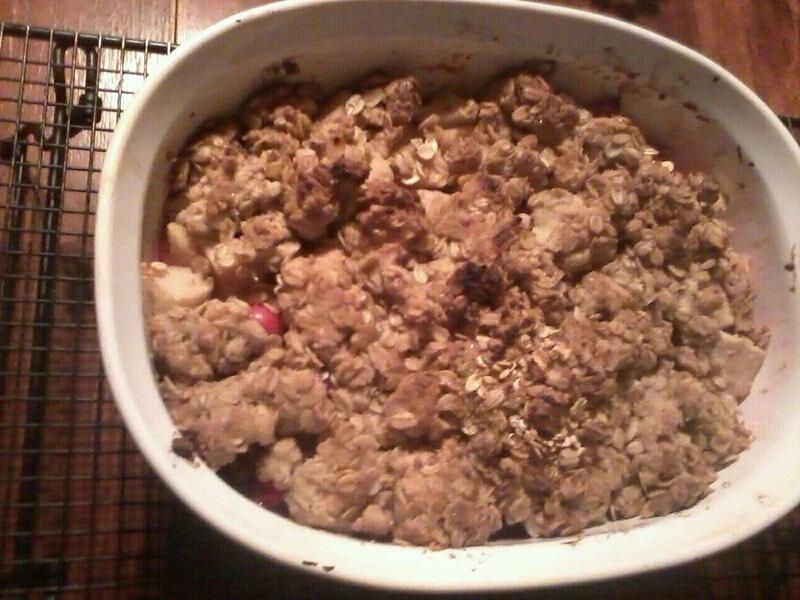 The cranberry pear crisp sounds delicious! Looks delicious! I hope you had a nice Thanksgiving.